With a twinkle in his eye, Raju Shrestha lets us into his life. 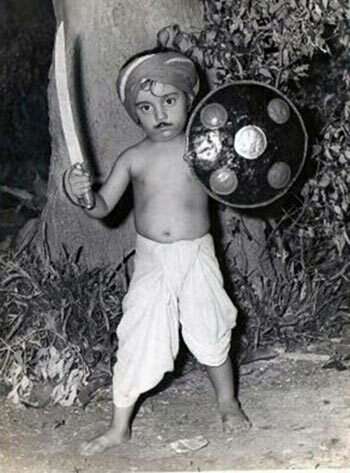 One of the most popular child actors of his time, Master Raju has acted in many, many films, with some of the biggest actors in the industry. Now 47, the actor is just as busy, thanks to his television shows. Raju, whose real name is Fahim Ajani, tells Patcy N how he got his name, childhood anecdotes with the stars, and what he’s been doing all these years. 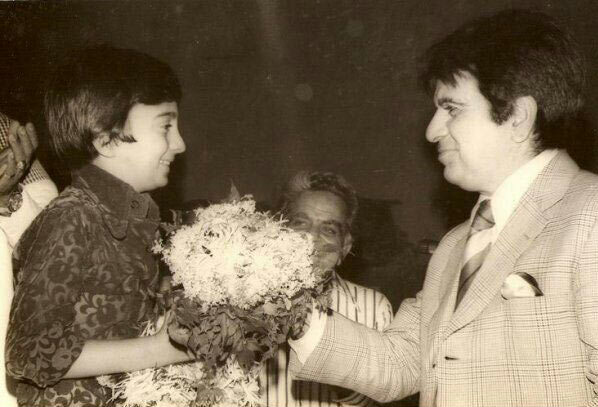 It was Sanjeev Kumar who started calling me Raju, when I did my first film Parichay (1972) with him. People would call me Guddu but he said Raju was a better name. That’s how I became Master Raju. In those days, Raju was not a common name. My father Yusuf was a chartered accountant and my mother Mehrunissa was a school teacher. My older brother Parvez is presently settled in the US and my elder sister passed away about 25 years ago. 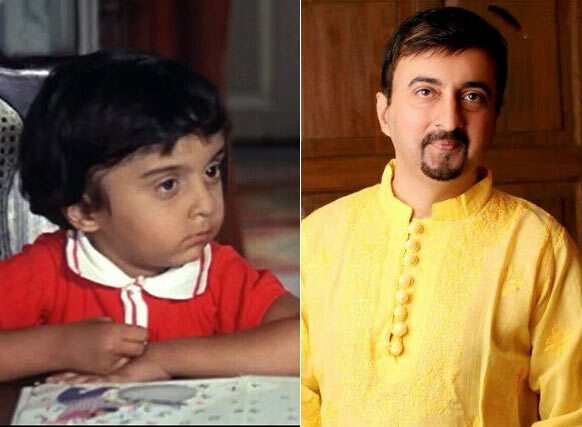 We had no connection with films, yet I got my first film Parichay when I was five years old. We lived in Dongri (in south Mumbai). Child and junior artistes would come from Dongri those days because the casting agents lived there. 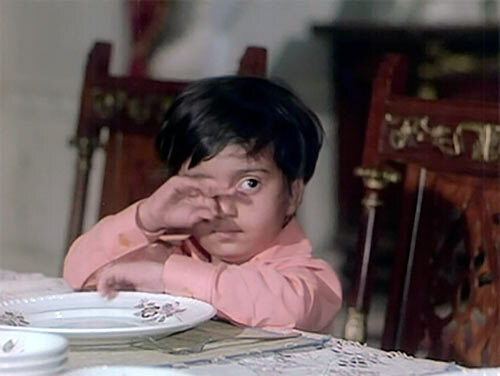 Gulzar bhai was looking for a child actor for Parichay. He did not like the regular child actors who were working in the film industry then. A junior casting agent got in touch with my father to ask if I would be interested. My family was ignorant about films, so my father’s first reaction was no. Finally, he agreed. We came to Pali Hill in Bandra, where Gulzar bhai had his office. All the kids who had come for the auditions were well prepared. Some danced, some did mimicry and some were saying dialogues from other films. I felt inferior as I was not prepared. Gulzar bhai talked to everybody. When he came to me to talk, I started crying. My parents thought there is no chance now that I had started crying. We left for home sure that I had been rejected. But after two days, we got a call from Gulzar bhai’s office to say he wanted to meet me again. My scene from the film where I say ‘K for Karna hai’ was a huge hit, people wrote about me. They called me scene-stealer. In my very first movie, I got so much appreciation. Even though I was the youngest on the sets, I would say the youngest amongst us was Pran saab. He was one of us, he would play with us, joke with us. I did not know he was such a big villain and actor. For me, he was my friend. Jeetuji (Jeetendra) was the producer of the film. He looked after us, played with us and made us very comfortable. We did outdoor shoots in Pune, Panchgani, Mahableshwar, the Khandala Ghats... in those days, in 1972, going to such places was a big thing. Even on outdoor shoots we had games like carom, table tennis, cricket… we had a tortoise to entertain us, as that was also a part of the film. Jeetuji was seeing actress Mumtaz then so she would come on the sets and play with us. I was scared of the actress Veena, who played Pran’s sister in the film. She was a very famous vamp. There is a scene in the film where we break the teacher’s chair and Veena enters the room and throws the leg of the chair at us. Jeetuji told everyone not to explain that scene to me, as I was already terrified of Veena and may refuse to do the scene! Whenever I saw her on the sets, I would start crying. We had to do many retakes for that particular scene because as soon as Veena entered the room I would start crying, even before she threw the leg of the chair at us. Gulzar bhai was very nice. He gets things done in such a way that you are convinced and you too are comfortable. He gets work out of you. The work he got out of all the kids in Parichay was amazing. I did Kushboo and Kitaab with him too. After Parichay, I started getting a lot of work. I was good in studies, and would carry my books on the sets. I would give all my exams. About seven tutors came to my house to teach me. When I was not shooting, I was going to school. I was seven years old when I worked in Kushboo. I was working with Hema Malini, who spoke very little. But she would play with me. I taught her how to spin a top. I have done quite a few films with Hemaji like Dream Girl, Nastik, and Krodhi. I don’t remember how I transformed into an actor. 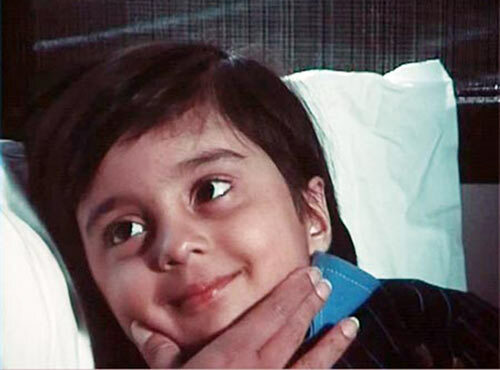 In my first few films, I had to be myself, a kid, but later I started acting. I have done films with Yash Chopra, Hrishikesh Mukherjee, Basu Chatterjee, Gulzar bhai...they never made me act, they just told me to be there and do what I wanted. By being on the sets, in that atmosphere, watching other actors, I started learning the craft. I had a great rapport with Dharamji (Dharmendra). I did Samadhi, Krodhi and Dream Girl with him. We would share the same tiffin. I have done the most number of films with Jeetuji -- Badalate Rishtey, Aatish, Kushboo, Parichay and Tumhari Kasam. We became good friends. Later, I got close to Mithun Chakraborty. Salman Khan has been very nice to me. I got to know things early in life. There were so many times when a hero would be flirting with the co-actress even though I was right there. They would think that I wouldn’t understand. I would purposely sit there just to listen to what they were saying. Once we were shooting in Chandavli studio for a film called Deewangi, with Shashi Kapoor. We were two kids doing a scene that involved bomb blasts. As we were running, the blasts were happening behind us. Doing the scene again and again, I hurt my toe and that slowed me down. Because of the previous blasts, there was lots of smoke and dust and the man who was handling the blast could not see properly. He saw the other kid running ahead and thought I was with him, and he let off the next blast. I got burnt on my face and arms. During the shoot of Mamta, with Parikshit Sahani and Vidya Sinha, I almost drowned because I didn’t know how to swim. I was terrified. Then the same scene was done with a trained swimmer, who was below me in the water. He would trip me and then catch me below. But I fell down again and almost drowned, but they saved me. My mom asked for two months’ time from the filmmakers and sent me for swimming classes. Those swimming lessons helped me in Agar. I had a busy shooting schedule. I would do about three films at a time and three shifts at a time. 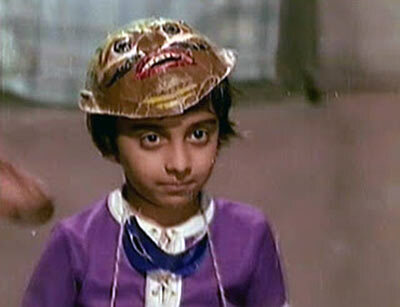 I was in a film called Farrar, with Amitabh Bachchan, Sanjeev Kumar and Sharmila Tagore. They would wait for me to reach the sets and in the meanwhile, the director would take Amitabh Bachchan’s close-ups. Then they would wait for me to join in. Even though I was working all the time, I never felt I was exploited. I think only Baby Naaz had problems with her parents, who used her money and made her work a lot. I acted because I enjoyed it. 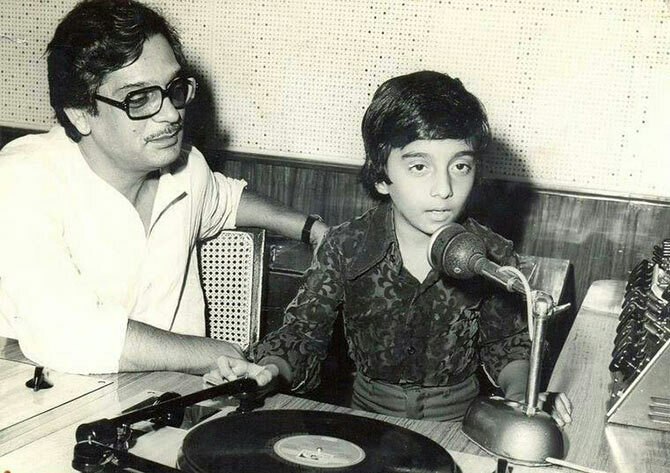 I did Chitchor in 1978 with Basu Chatterjee. The film was shot in Panchgani. We were called to the Rajshri Production office, and my mother heard the role. She asked about the director, and the hero and heroine, who were very new. In those days I was working mostly with Prakash Mehra and Pramod Chakraborty who made commercial films. Basu Chatterjee was known for making art films (Rajnigandha, Piya Ka Ghar). My mother was reluctant to let me act in the film because I had to be in Panchgani for 40 days. We also had dates issues and the money was less. So my mother said no. We were called again and told that the dates would be adjusted as Basuda wanted to work with me only. I really had a busy schedule during that period but everyone on the sets was told that Raju doesn’t want to do a film with a new hero and heroine. 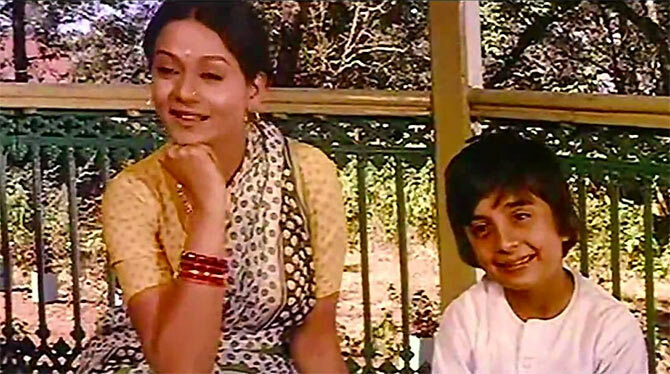 When I did the film, Zarina Wahab and Amol Palekar were very upset with me and kept their distance. Even Dina Pathak and A K Hangal were upset. They all thought I was behaving like a star. After a few days, they got to know that date and money were the issues and we all became friends. Amol Palekar taught me to drive (He was nine years old then) then. I learnt on a jeep that was used in the film. Once I got the hang of how to drive it, the jeep’s driver was careful never to leave the keys in it! I also learnt how to cycle during the making of the film. We all stayed together. Basu Chatterjee would make films in one schedule. I did Khatta Meetha in one schedule as well. We shot Humari Bahu Alka in Shivaji Park, in a flat next to the mayor’s bungalow. That and Chakravuyh with Rajesh Khanna were both one schedule. I did not know there was something called the National Award. In those days, in 1977, the media was not very strong and there was no glamour about a National Award. We got a call from the Rajshri Production office asking if we had read that day’s newspaper. 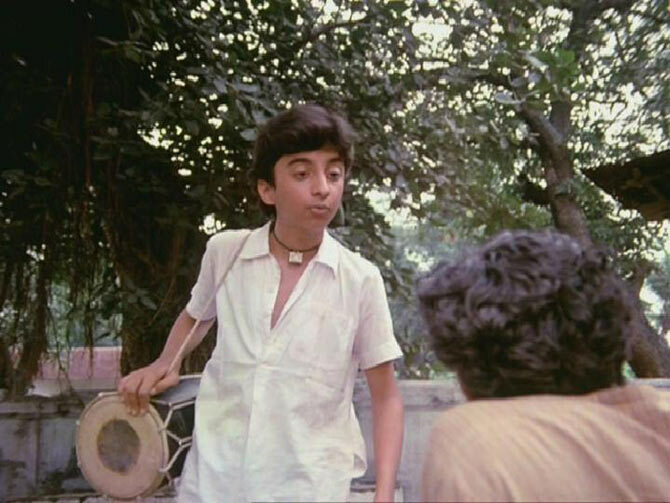 ‘Your son has received the National Award for the best child actor for Chitchor,’ the person said. We did not know it was such a big thing. We were just happy that my name was in the newspaper. When we got a letter from the Information and Broadcasting minister and a ticket to travel, my mother replied that I was just a kid and couldn’t travel alone. Then Rajshri explained to us how big the award was and that I would receive it from the President. So my mother and I travelled with our own money. I wore a suit. We took the morning flight, received the award, and came by the late night flight. Mithun Chakraborty got the Best Actor award for Mrigaya the same year. We became friends, and then neighbours in Bandra. I moved to Bandra in 1977, while Mithun shifted in 1980. We would play cricket, and Junior Mehmood would join us. I don’t know how much money I was paid because my mother took care of it. In 1973, I was paid Rs 10,000 per film. In 1977, when I got very popular, I would get more than Rs 1 lakh. I bought a house in Bandra for Rs 1.10 lakh. Whatever I earned was invested wisely by my father. The benefits are still coming in. In fact, my house is still running today because of those acting assignments. A lot of it was used by the family. We bought a house and our standard of living changed. I never went through a bad phase where I had no work. My mother accompanied me on the sets till Woh Saat Din. I was in the ninth standard then. After Woh Saat Din, I took a break for three years because of my studies. I had to finish Class 10 and join college. I knew I would get back to acting but I had to graduate first. I also took a break because I wanted to break out of the image of Master Raju but I have not been able to break out of it even today. Now I realise that brand Master Raju is very big and there is no harm in it. Today, it is working to my advantage. But there was a time when it was going against me. I wanted to play more character roles, do villain roles. I was fed up of playing the good boy. But the producers, directors and audiences were not ready to accept that. After I grew up, I changed my name to Raju Shrestha. I did not use my original name Fahim as Sanjeev Kumar, who gave me the name Raju, was no more and I wanted to keep the name in his memory. In my personal life, I had become wild. I would party till late. I would drink, get involved in street fights. There were scandals and it got printed in the newspapers. I was linked with some actress. I never did drugs but I was called a drug addict because I did a serial called Chunauti. In fact, after I grew up and came back from my break, the first thing I did was Chunauti. I was in the twelfth standard then. I was in just 10 episodes but the impact of that show was good. I did Mahesh Bhatt’s Saathi in which again I played a drug addict and I was branded one. One thing I was clear about: I never wanted to become a hero. I was fascinated by Pran, Anupam Kher, Shakti Kapoor and Kader Khan, who did negative roles then. I wanted to be a popular villain. I also wanted to try my hand at direction. I started assisting directors and joined Rajesh Khanna’s production house. They were making serials then so I joined as associate director. While I was doing that I got a call from Mukul Anand. He was making a film called Maha-Sangram and wanted someone to play Govinda’s innocent-looking friend. I said I had given up acting, but Mukul Anand said it was just five days of shooting in Ooty and it won’t harm my directing career, so I agreed. After finishing the shoot in Ooty, I went to collect my cheque and met Salman Khan in the producer Nitin Manmohan’s office. Salman and I are old buddies. We grew up together. When he was learning to skate, I would go along with him. I would ride a bicycle and he would skate holding the carrier of the bicycle. We would meet at Sea Rock hotel in Bandra, as I was a member there. Salman asked me what I was doing in Nitin Manmohan’s, and I told him I was there to collect my cheque. He asked me to wait, and he went and met Nitin Manmohan. After some time I was called inside and Nitin Manmohan told me that he was making a film called Baaghi with Salman. There was the role of a friend and asked me to do it. I said no, but Salman insisted. He said it was a one schedule film and will be shot in Ooty. So I agreed. I got very good reviews for Baaghi and lots of acting offers started coming in. I played a friend to almost all the heroes in those days and my direction dream went for a toss. 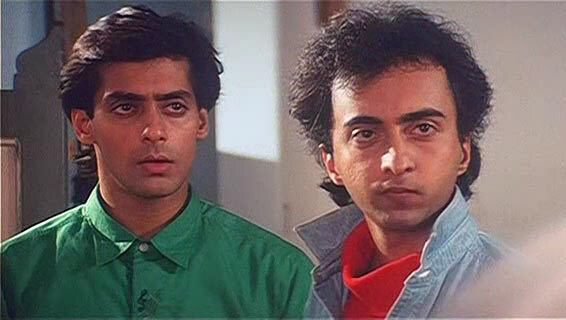 I played Salman’s friend in many films. One day, I told him I didn’t want to play the hero’s friend anymore. I wanted a negative or a comic role. We were to go to Nepal to shoot for Jagruti when I told him this. I said I would come just like that if he wants. From then on, we stopped working together. Then I got into television. We don’t share the same friendship any more and I don’t expect that. He is always available when I want to meet him but we don’t discuss work any more. After Saathi, I got a call from Sanjay Khan’s production house to do a serial for Doordarshan. They were making a mythological serial called Jai Hanuman and they wanted me to play the character of Naarad. I got good reviews for playing Naarad. All the mythological serials then called me to play Naarad. 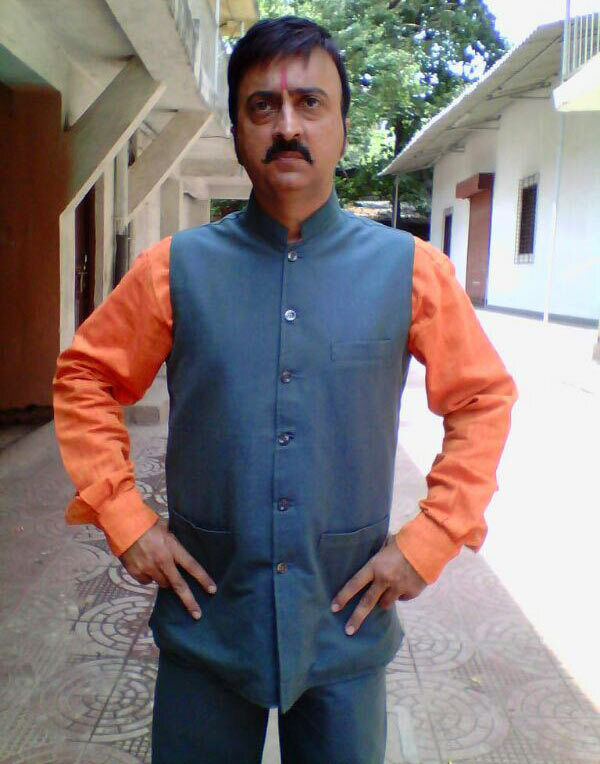 I did almost 3,000 episodes playing Naraad in different serials -- Jai Hanuman, Navgrah Puran, Darshan do Bhagwan, Jai Maa Durgaa, Shani Mahima to name a few. I played Naarad for almost 10 years. I was making good money. But I realised that the audience for mythological serials is not like those for films. They are from small towns. Within the industry, nobody was watching me. So there was a phase when people thought I had no work. I was not seen, whereas I always had a show on air. I decided not to do mythologicals any more. I have directed a Punjabi film called Ishq Awala, and written a few scripts too. Right now, I am doing a Doordarshan show, as well as Maharana Pratap. Television actors make Rs 4-5 lakh a month. The bigger actors are paid more. But there are times when there is no work.